Development and the environment encounter each other every day. Whether this is on brownfield sites with a history of contamination or greenfield sites where protected species are present, construction and the environment come into contact frequently and problems can undoubtedly arise. These issues can be costly and significantly delay development projects and when managed incorrectly can damage the reputation of your business. OHES have worked with many construction firms both small and large to solve these problems in a timely and cost-effective manner and have drawn on this experience to create our EnviroConstruct Toolbox. EnviroConstruct is a product tailored specifically by OHES for the construction industry to enable development from the start of your project to the end. The toolbox brings together a wide variety of valuable and appropriate services bringing together the expertise of our consultants across all of our divisions in a unique offering. 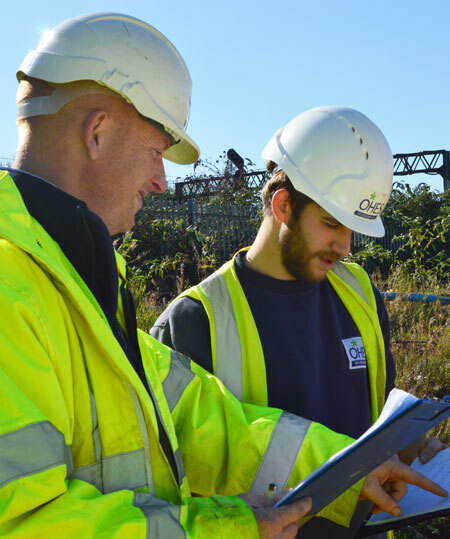 From land acquisition to the planning and development stages, OHES has a service to suit your project’s environmental requirements. Read more about OHES’ EnviroConstruct Toolbox here or contact enquiries@ohes.co.uk to discuss your projects requirements.